France is the ancestral home of my father’s family, he was the son of Joseph Beauchamp (known as Alfred) and Rose de Lima (known as Adelina) Daigneault. Rose’s family married into the Cree and Ojibway people of this country and became part of the Metis culture, including a line back to the famed Lagidmodiere and Riel families. I have not seen any such connections in my grandfather’s family but originally they all came from France, the Beauchamps to help start the colony of New France. France is the largest country in Western Europe with an area of 640,679 square kilometers (http://en.wikipedia.org/wiki/France). 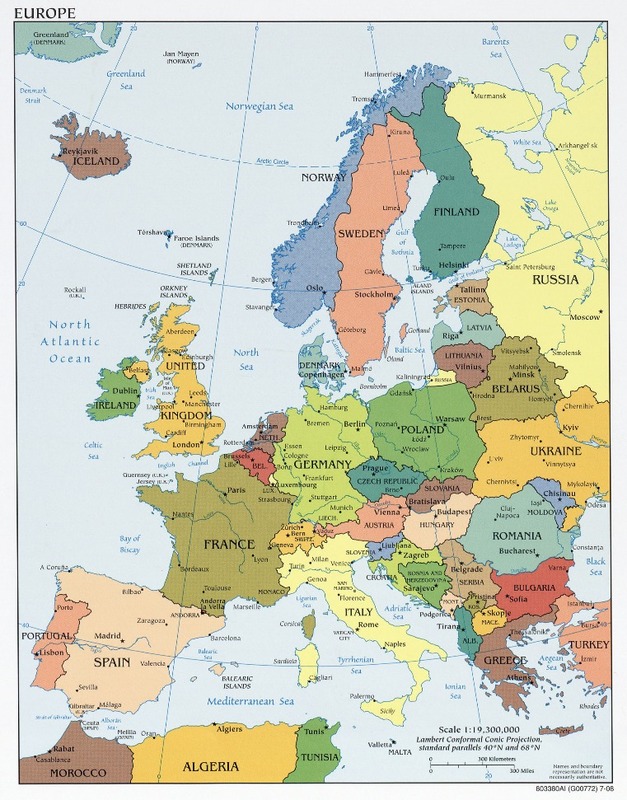 As you will see below, it has coastlines on the Atlantic Ocean and the Mediterranean Sea. The capital city, Paris, is one of the world’s great cities and boasts such famous landmarks as the Cathedral of Notre Dame, the Eiffel Tower and the Louvre, one of the largest art museums in the world. Besides that, there are the snow-capped Alps, sunny beaches along the Mediterranean Sea and fishing villages along the Atlantic coast. The Loire Valley is home to many chateaux, as well as orchards, dairy farms and vineyards. 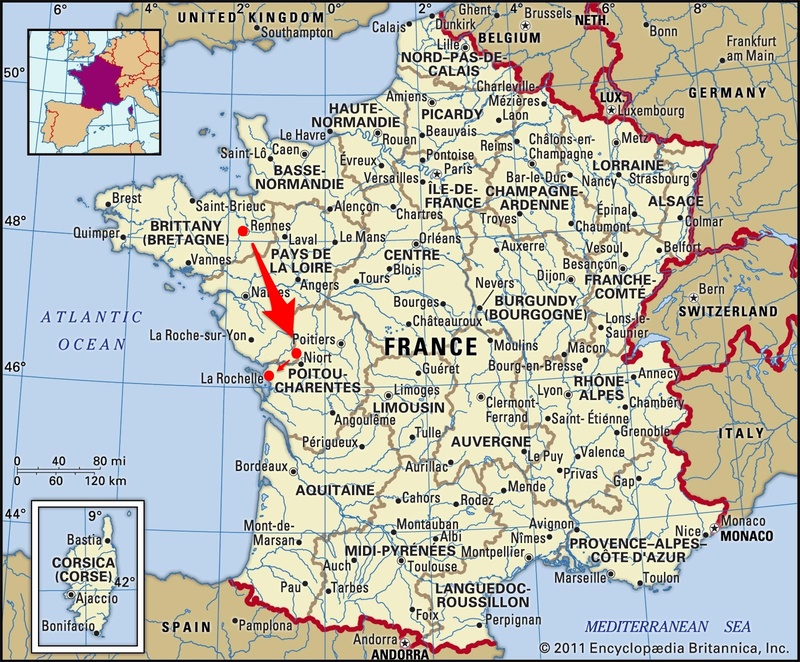 The earliest ancestor I have in France so far is Olivier Deschamps ( a variant name) born in 1534 in Rennes, Bretagne or Brittany. Two generations later, after a time in Nantieul, Dordogne, the family relocates to La Rochelle, Charente Maritime, the place my first French ancestor emigrated from. 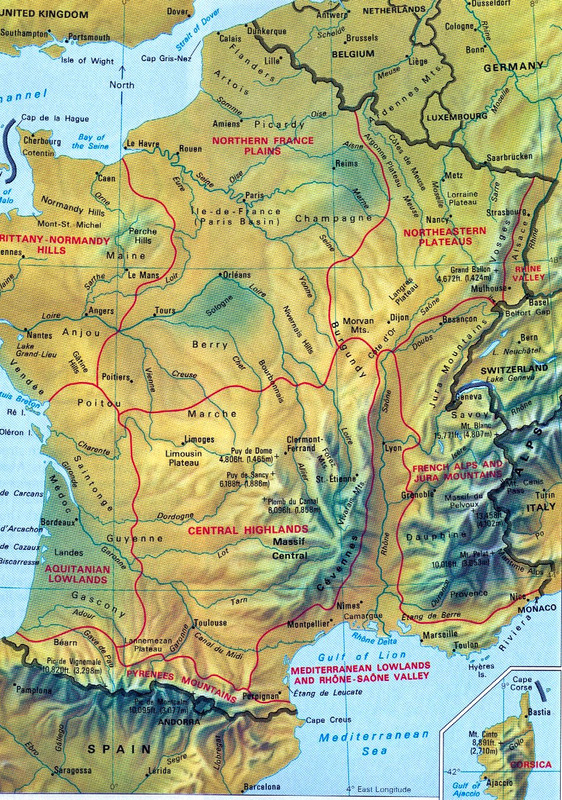 If you are interested in the colourful history of France you can find it here. I am more interested in my ancestors place in that history. What were they doing in France and why did they come? We will discuss that next time. This entry was posted in Researching by Shamwest. Bookmark the permalink.